For 125 Belmont students, faculty and staff, last week meant a trip away from Nashville, but it didn’t include the typical beach and relaxation scene most often associated with Spring Break. Rather, these groups traveled to locations in the United States as well as overseas, including sites in Mexico and the Dominican Republic, to serve their neighbor. Belmont’s Spring Break mission trip program, Immersion 2018, is sponsored by University Ministries. Every Immersion trip gives participants a chance to be immersed in local culture and in the cares and concerns of local communities while also providing an intense exposure to what God is doing all over the world. 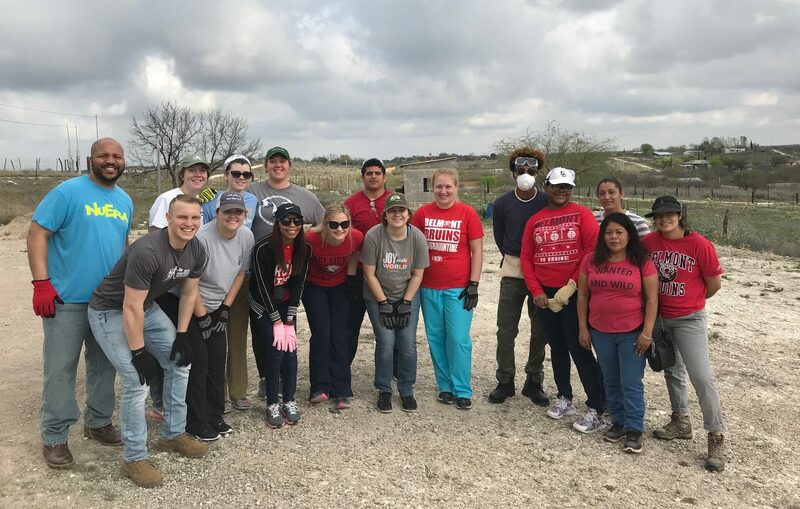 Whether working with the homeless in Los Angeles, partnering with immigrant populations in Texas or building a house in Mexico, these mission trips offer an opportunity to gain new perspectives. Sophomore music business and audio engineering major Tom Rowles also went to Chavies, only he was even more familiar with the work as his sister works full-time wth the Appalachia Service Project. During Spring Break, the Chavies team replaced and insulated the underpinning of an elderly woman’s mobile home and started a siding project that was completed by another team the following week.